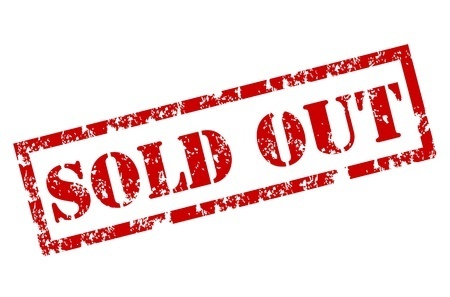 Sacramento Studio 2/23: ***SOLD OUT***Paint your Pet Warhol! The iconic and reknown Artist Andy Warhol is a Pop Art legend. He created mass production of images printed and painted over and over again in bold colors. He used Marilyn Monroe as one of his most popular mass production subjects and he colored her image every color imaginable. This class is a colorful twist on our classic "old school" version of Paint Your Pet which is more realistic in construction and color. In this class we will concentrate on all colors of the rainbow and channel our inner Warhol! Let's PAINT! Send us a high resolution HEAD SHOT photograph of your pet that has clarity and good lighting and we will hand sketch the image of your pet onto a 12 x 12" stretched canvas for you prior to the class! 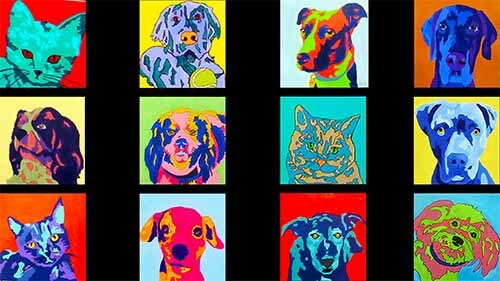 During the class, we will guide you through the step by step process of creating a colorful painted portrait of your pet! Please do know that the better the photograph, the better your drawing and painting will be! Background elements in your original photo will be eliminated all together. THIS CLASS IS FOR ONLY ONE PET. We will have an 4x6 picture of your pet for you to paint from.